This page has been viewed 4,536 times. The greens were groomed and the sun was shining at North Vancouver’s stunning Seymour Golf and Country Club as the First Annual Vancity Golf & Boogie Tournament teed off for charity. Headed up by famous North Shore resident and legendary Vancouver Canucks keeper “King” Richard Brodeur, players were driving for show and putting to raise dough for the Hollyburn Family Services Society. Later, a five star dinner buffet and live auction kept guests bidding until Billy Dixon’s Soul Train Express and his Solid Gold Sisters of Soul kept the party pumping until late. Congrats to all involved. 01 – Big thanks to my team members for hitting the links with me. From left: Craig Turner, Brad Thompson, “King” Richard Brodeur and Mark Ballard. 02 – A genuine Guy Lafleur Montreal Canadiens jersey, shown here by tournament organizer Cherie Devisser, is just one of the fabulous auction items up for bid. 03 – Hot doggie, that food is good! Le Bistro Chez Michel’s owner/chef Phillippe Segur serves up some tasty tidbits to players at the first hole. 04 – Joining in on the buffet and “boogie” portion of the day are North Van fans Anna Marie Garcia and movie stuntman Thomas Potter. 05 – Always generous in their support of local charities, real estate partners and brothers Karim and Haneef Virani play hosts at their team’s table. 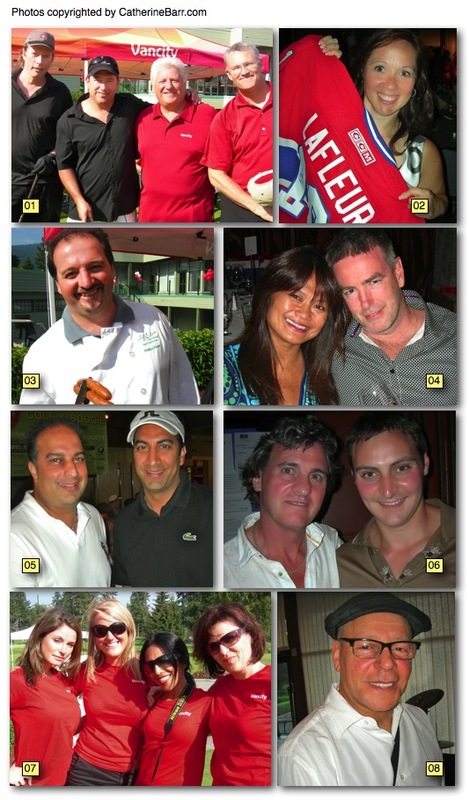 06 – Looking superbly sun kissed, West Van’s Don DeCotiis and son Marc keep an eye on their bids at the silent auction. 07 – Va Va Va Vancity! Red hot helpers Chatelle Wedge, left, Kathryn Precious, Mahtab Saffarifar and Danielle Segur are a welcome distraction at any hole. 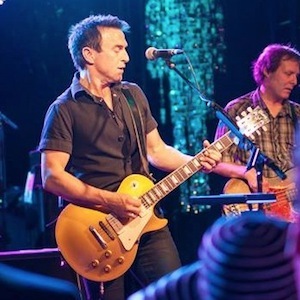 08 – You can’t say enough about the fabulous Billy Dixon and his Soul Train Express. Backed by the glamorous Solid Gold Sisters, these cats have the dance floor hopping well into the night.